Guestlink is an online property management system to enable you to promote your accommodation business on local tourism websites, your website and through global channels such as Booking.com and TripAdvisor. Guestlink stores all the customer and booking data securely in one place for you to easily access anywhere at anytime. 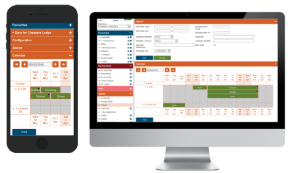 The system is simple, easy to use and was designed for small B&Bs, Hotels, Self-catering and Camping businesses. Why not read what our customers have to say? Want to know more about how to increase your bookings? Why contact our friendly helpdesk to make the most of your account? Guestlink has been built to be fully responsive to enable you to manage your business on mobile, tablet, laptop or desktop. You can update your property information from anywhere with an internet connection and take bookings online and direct while out and about. We offer FREE text message notifications too so you will never miss a booking! We are always enhancing Guestlink to ensure you get the most up-to-date functionality and get the best experience so you can manage all your channels and bookings. Guestlink + Web Booking can be colour matched to your website to make the user experience seamless. Customers are three times more likely to make a booking when booking directly on a property's website in comparison to a booking engine so why not make the most of your website? The integration is straight forward and our helpdesk team will guide you through should you get stuck! Guestlink + Diary is an easy-to-use online accommodation diary; you can safely and securely handle bookings made directly by yourself alongside those made online. You can see at a glance which guests are in which rooms and quickly add bookings made with you by telephone or in person. Why not link Guestlink and Booking.com? Guestlink + Worldwide increases your online routes to market by distributing your accommodation availability and pricing to Booking.com, Expedia, Hotel Bonanza and SpeedyBooker. No fixed contract, risk or sky high commissions! 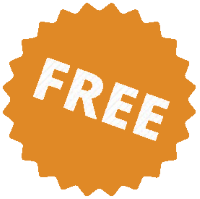 You can use Guestlink for free or purchase the additional products that suit your business. With no hidden charges you choose the payment method for any add ons and away you go!